The Optical Surfaces range of OS mounts were developed to support optics and mirrors such as off-axis paraboloids, spheres and flats in applications where stability is important. 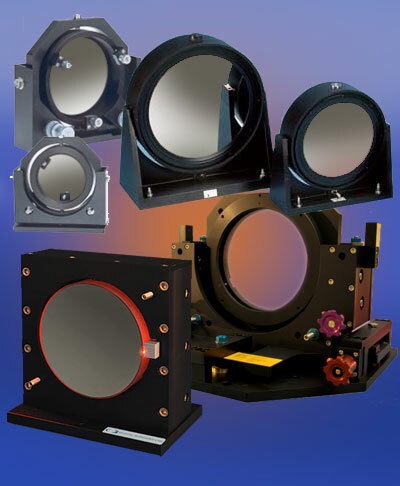 Constructed in black anodized aluminium – OS mounts provide a secure and stable platform for optical components with diameters from 100mm to 550mm. Angular alignment can be made about two axes by means of dual action adjusters with fine screw and ultra-fine differential micrometer action. Using these mounts it is possible to rapidly align an optical component or mirror within a few arc seconds. To facilitate rapid and simple mounting onto an optical table or other support each OS mount comes with a base plate.